YS Park 501 / 651 Luster Wood Styler Brush has been updated and refreshed is now the YS 651 designed with a combination of Boar Bristles, and Nylon pins. 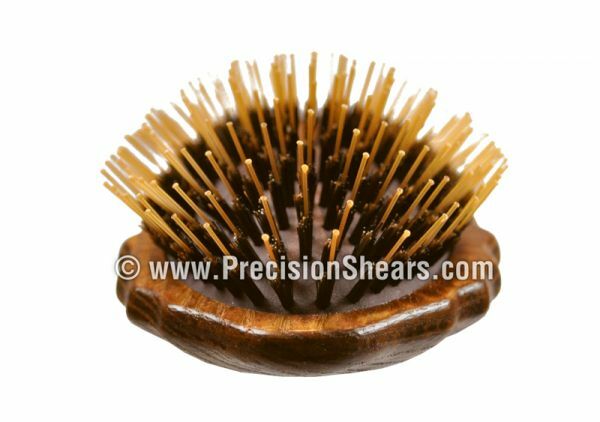 YS 651 Bristles are arranged in a spherical pattern that each stroke reaches all the way to the scalp, without causing any irritation or discomfort. The offset handle is designed to prevent accidental contact with the client's head during use. Lightweight and easy to use. Check out the YS Park 701/ 851 for an all boar bristle version with no nylon pins.